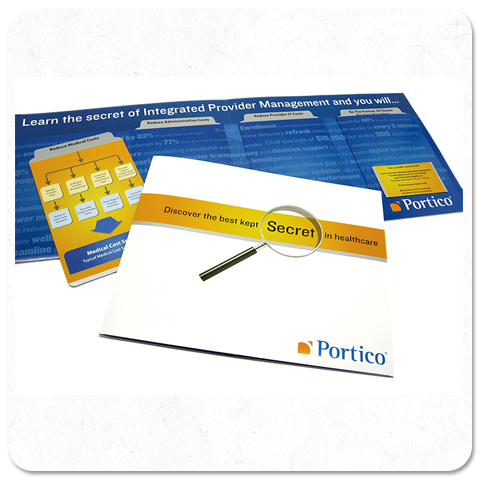 Company: Portico (acquired by McKesson) was a leader in integrated provider management solutions, focused on software solutions for healthcare providers. 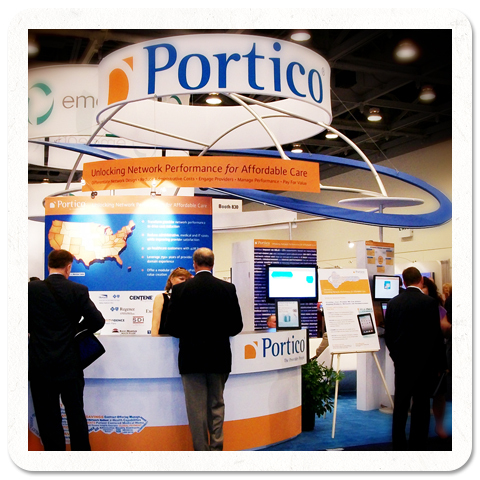 Needs: Portico hired me to provide branded design solutions for its annual AHIP Conference booth space. 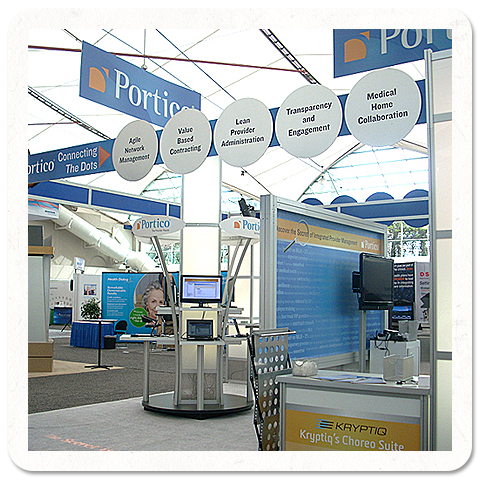 Solution: I designed all booth graphics in tandem with a printed promo piece for Portico. This included design and production for several installation components as well as the theme and overall look for the show. 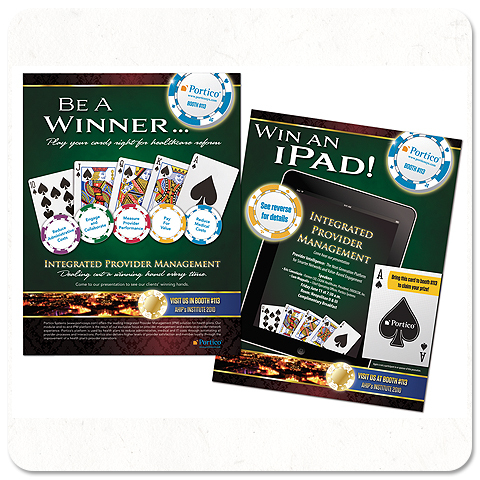 Results: Portico had effective foot traffic and increased interest in their services due to both the booth layout and related promo pieces.